Benzene is a solvent. It is a known “carcinogen”. We actively represent workers who are diagnosed with a rare type of leukemia and who worked in the following occupations/industries where Benzene and other solvents are used. 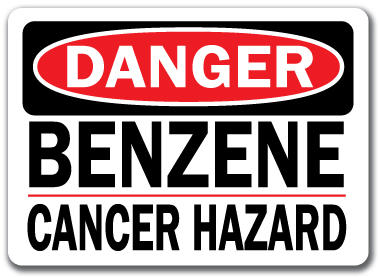 Benzene is a known carcinogen. It has been a known cancer causing agent for at least 50 years. OSHA standards (Occupational Safety and Health Administration) include that workers who are exposed to solvents such as benzene in the workplace use safety gear including respirators. The desired goal is to protect workers from carcinogenic substances containing benzene. If you or your loved one has been diagnosed with any type of blood cancerleukemia such Acute myeloid leukemia (AML), Myelodysplastic syndromes (MDS), Amyotrophic lateral sclerosis (ALL), Multiple myeloma (MM) or Non-Hodgkin lymphoma (NHL) which could have been caused by benzene exposure or another industrial solvent in the workplace please contact the California Benzene Lawyers at 1-800-718-4658 so we can advise you of the claims you have including your worker’s compensation claim. We also handle cases outside of California. Almost all of our Benzene clients were unaware that benzene was a dangerous and carcinogenic substance while they were working with chemicals that contain Benzene. Plus, individuals who lives in close proximity to a manufacturing plant which expels benzene into the air. Employees who work in the above industries can develop serious illness and blood cancers which we can prove are due to benzene exposure and then obtain for you a financial recovery. Nadrich & Cohen, LLP are Benzene lawyers who also handle Asbestos and Mesothelioma cases and will represent you and your loved ones for Benzene exposure both against the chemical manufacturer and any compensation benefits available through work or employment. We litigate occupational illness and toxic chemical exposure claims throughout California. At Nadrich & Cohen, LLP, our attorneys have the knowledge, skill, and experience to successfully represent even the most challenging Benzene exposure cases. We have eight offices and handle Benzene cases nationwide with qualified Benzene co-counsel. If you have been exposed to the chemical Benzene, you are at risk for developing serious medical problems and should seek medical assistance and legal representation right away. Nadrich & Cohen, LLP has an impressive track record of successful case outcomes and has recovered over $75,000,000 dollars for our personal injury clients. Call Nadrich & Cohen, LLP today to receive a free legal advice with one of our aggressive lawyers. Benzene is an extremely dangerous chemical, and known carcinogen, meaning that it has been shown that exposure to the substance can cause cancer in humans. Benzene poisoning may occur as the result of the chemical being inhaled, ingested, or the substance entering the body through the skin or eyes. Many of the consequences of Benzene exposure and poisoning are irreversible, and may cause the victim to suffer from painful and possibly fatal disorders, such as Leukemia, Cancer, and blood disorders. Properly posted warning signs, safety gear, protective clothing, and other safety precautions are ways in which employees can reduce the risk of Benzene exposure in the work place. If you work in an environment where you are exposed to any amount of Benzene and have experienced a combination of some of the symptoms listed above you may be suffering from Benzene poisoning. You should seek medical attention immediately and undergo an examination to find out if you have any serious health conditions that may be linked to Benzene exposure. In some cases, the symptoms of Benzene exposure related medical conditions may not appear for as long as thirty years after the victim was exposed. If you or a loved one has suffered as the result of Benzene poisoning, please contact a Benzene lawyer at Nadrich & Cohen, LLP immediately.